Lately, I’ve been conscious of a trend that makes my heart jump for joy. Have you noticed that more and more ordinary people are on TV and in the movies? For too long there’s only been room for Hollywood glamour. That standard was allowed to exist by a world that sought happiness from the external. As a young girl, I was indoctrinated and blindly aligned myself to that belief system. But not anymore. I, along with many others, have outgrown that life-view. Welcome tall, short, fat, thin, young, old and every color. Welcome me. Welcome you. 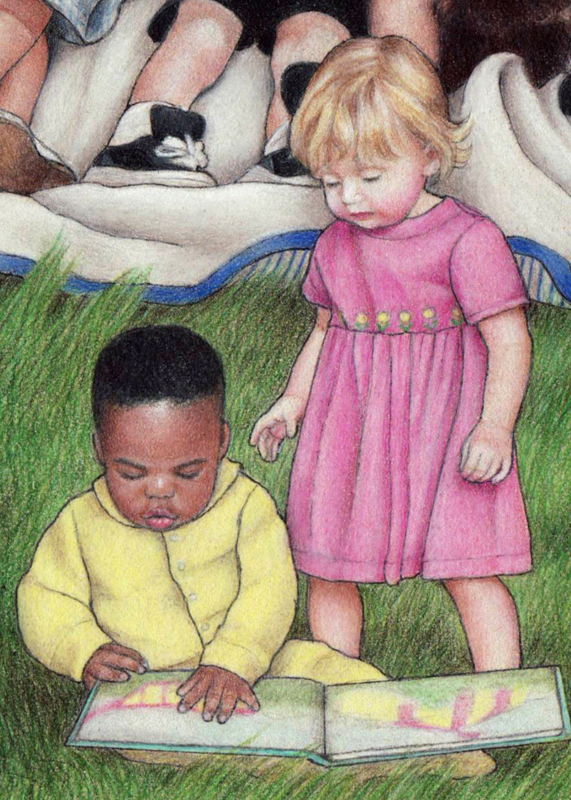 It’s hard to believe that when I began my career as an illustrator, I couldn’t find work because the people in my drawings looked too “real.” I was advised to stylize my children like the Gerber Baby because more women would relate to it. Can you believe that? I was exasperated by the assumption that only blue-eyed Caucasian babies were relatable. There was and is a place in the world for every mother’s child. Fast forward to today. 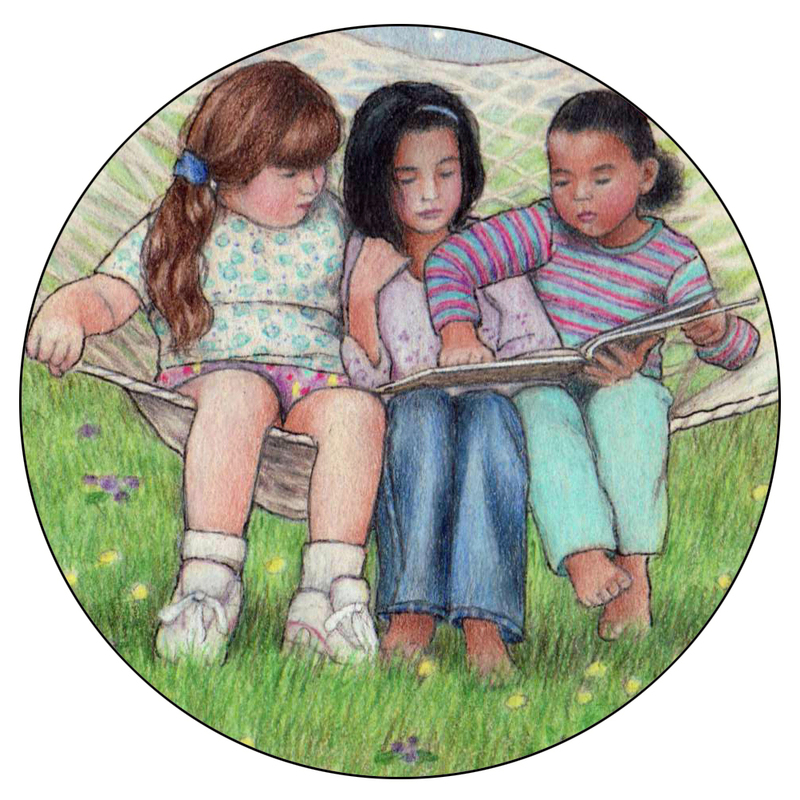 My illustrations, featuring children of all shapes, sizes and colors, are viewed as politically correct and affirming. Plastic surgery and the coloring of grey hair are being reconsidered by strong women in the limelight. The doors for self-love and self-worth are now open wide enough for everyone to fit through. We are fine just the way we are. I would go so far as to say that embracing “who we are” is what helped launch Pharrell Williams’ song, Happy, into the stratosphere. That tune went nowhere until its video was released showing people of all ages, ethnicities, and body types dancing to it. To add to the explosion Pharrell’s fans posted videos from across the globe grooving to his song. Happy became a celebration of life and the beauty of humanity. And what about Colbie Caillat’s song, Try? Its video blasts Photoshop and the unrealistic beauty standards put on women and girls. During the film, Colbie removes her hair extensions and her make-up bit-by-bit. At the end, what’s left is someone we can connect to. You see it’s nearly impossible relating to someone who’s body is decorated and molded. There is no heart in plastic. Being who we are is where our power lies. This is a great post, and thank you for showing us how this positive change is evolving right before our eyes. Hooray!!! Hooray is what I say too! When I first saw one of your Christmas cards several years ago, I was happy to see the variety of children pictured. Maybe now that we can accept ourselves as we are, we can get along better.